Every once in a while we have a moment in which we as African Americans need to stand up, applaud and embrace our own. The 2016 BET Awards and the speech that Actor Jesse Williams gave to the audience but more importantly to America is one of those moments. He didn’t deliver the speech in reaction to a problem, but did it in a moment of honor. There was no immediate tragedy or threat, only an understanding that there is a threat to the lives of Black People everywhere and that this was just as good a time as any to speak on the ills of our society. Jesse Williams is a superstar. Yes, he is good looking, articulate, successful and stars in one of the most popular television shows in America. But, that is not what makes Jesse Williams a superstar. What makes him a superstar is his self-awareness that in receiving the BET Lifetime Achievement Award he had the opportunity to speak to the nation about the plight and struggles of those less fortunate, the abused, the ignored and sometimes forgotten. He spoke of the responsibility that those of us who have achieved a certain level of success still have a responsibility to help those who need a voice. He pointed out the contradictions of local law enforcement “ that police disarm, deescalate & not kill white people everyday”. He pointed out the injustice and brutal murders of Tamir Rice, Sandra Bland, Eric Garner and Darian Hunt all who were killed by “public servants” who later returned home to make a sandwich while their victims laid still in a morgue and their families had to endure the suffering of dealing with a senseless death at the hands of those who were supposed to protect and serve. Mr. Williams reminded America that we as a people have fought and died in every war, performed every and any job known to man and paid every tax “but freedom has always been conditional”. That money is not a bad thing, but that we cannot and must not sell our souls or more importantly our consciousness all in the name of “name brands”. For the nay sayers Jesse Williams told the world ”The burden of the brutalized is not to comfort the bystander”. “if you have no interest in equal rights for Black People then do not make suggestions to those of us who do – Sit Down”. The simple fact is just because we have an African American President does not mean that all is well and good in America and that racism and hurtful and hateful crimes against African Americans don’t still happen on a far too often basis. 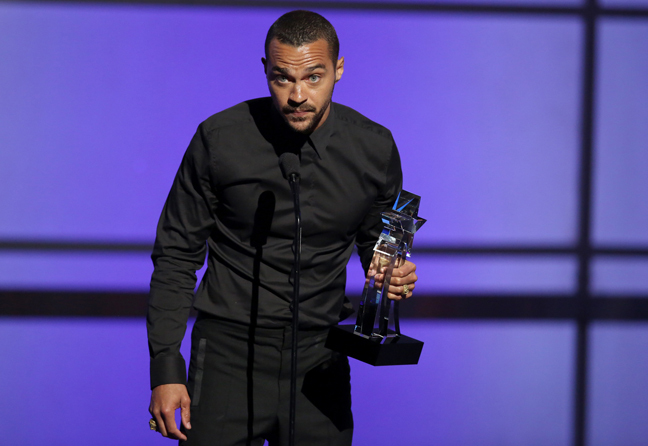 But what we must embrace is Jesse Williams’ willingness and consciousness to Speak Truth to Power. He did it unapologetically not from a place of victimization but as a Man who understood that just because he was not today’s victim, did not make him or his people any less subject to being victimized. In a time where everyone is trying to build their brand and artist and entertainers are far more likely not to speak out publicly for fear of losing what they have. Jesse Williams brought and “old skool” message to the “new skool” generation and he did it his way. He did it in a way that those who paved the way before him, men like Harry Belafonte, Sidney Poitier, Jim Brown and Kareem Abdul Jabbar did it. He did it in a way that would have made the Greatest of All Time Muhammad Ali stand up and give cheers, he did it like Ali would have, with pride, with substance but in the end he remained Unapologetically BLACK!